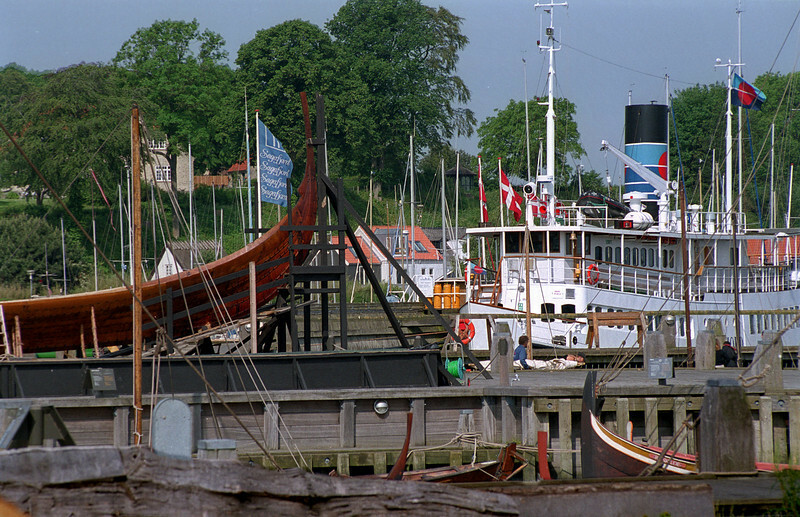 Viking Ship Museum & harbour, Roskilde, June 2002. Havhingsten (Sea Stallion) under construction. Nikon F801, colour neg film.